A Middle School Survival Guide: operation integers. 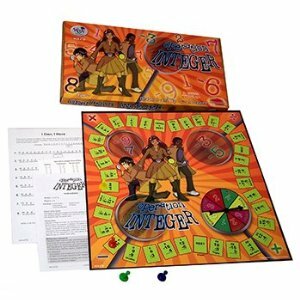 Bought 2 of these Operation Integer board games for my resource center class and tested them out today. The game is really just a lot of integer problems disguised as a board game. The game directions are open for interpretation. It could be played MANY different ways to include your choice of operations. I would recommend the game for 6th - 8th grade. 1. Students took turns rolling. 2. Each space they landed on had two integers. I told them the operation they were using was ADDITION ONLY. (pick the operation of your choice for the whole game OR have the students spin to use the operation). 3.Each student was required to solve the problem on the white erase board. They earned 1 point per problem correct (the spinner-person can earn 2). 4. Each board game comes with an easy-to-navigate answer key for each possible problem for students or yourself to reference. 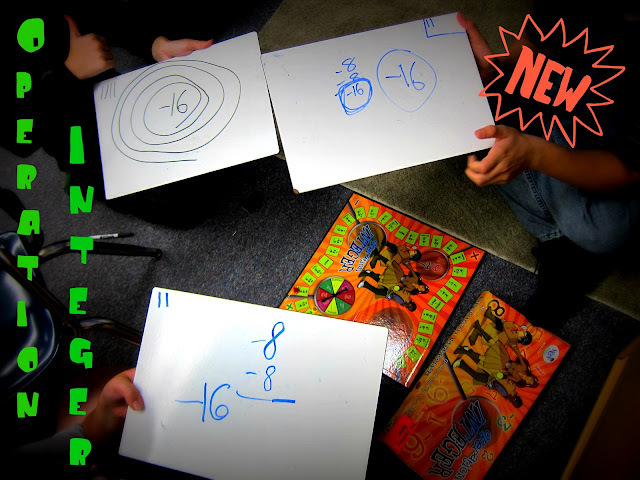 The students became much more comfortable with integers. I saw growth in skills. And they had fun. I give the "game" it an A-.